It’s been nearly two years since Busch Gardens Tampa Bay has opened a new attraction – the last being Cobra’s Curse in June of 2016. Next year, 2019, will be the park’s 60th anniversary. 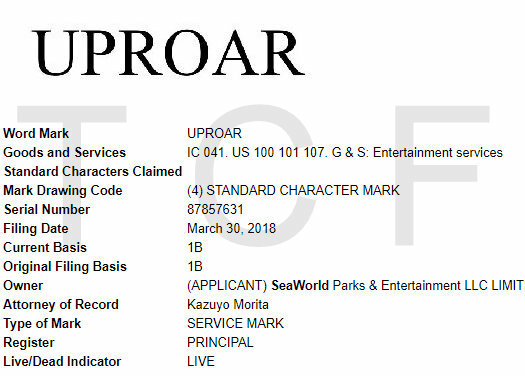 The rumors of some sort of attraction coming to the park in 2019 just got a boost – the recent filing of three trademark applications by SeaWorld Parks & Entertainment (SEAS). 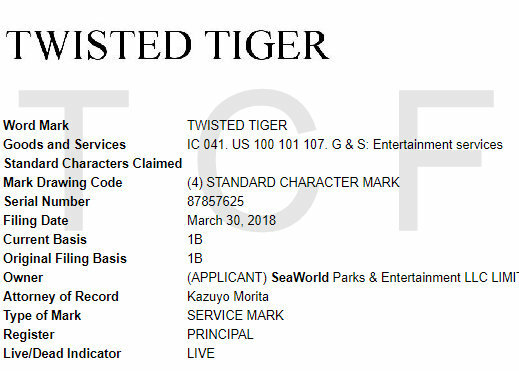 All three were filed at the same time, and revolve around tigers: Twisted Tiger, Uproar, and Tigris. With these filings, there’s no guarantee that any of the three names will be used at all, or any indication at what park (or parks) they might be for. But given that Busch Gardens Tampa is the only park in the chain with tigers and tiger theming, it seems likely the names are intended for use there. Also worth noting is past filings for new attractions at Busch Gardens Tampa have seen multiple names applied for, with one being used and the others being dropped at a later date. 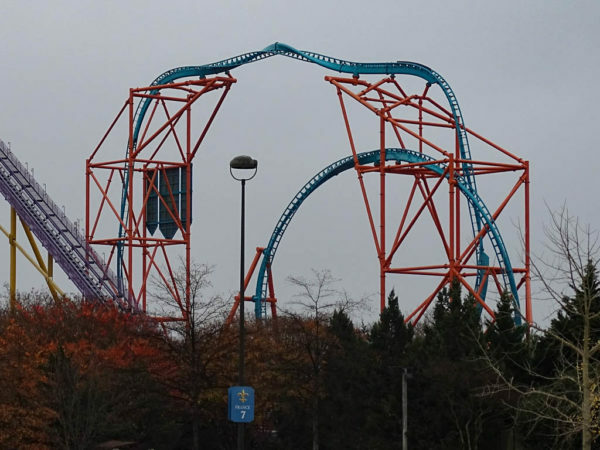 That includes Cobra’s Curse, Strikewinder, and Reptitan filed for the 2016 addition, and Falcon’s Fury and Desert Dive for the 2014 attraction. Rumors of a 2019 attraction have been gaining steam lately. 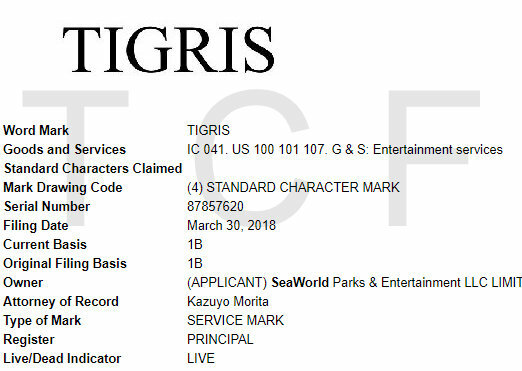 While nothing is official, sources have been pointing towards Project 2019 being located on the plot where Tanganyika Tidal Wave sits, which closed nearly two years ago on April 10, 2016. Except for the removal of the exit bridge and some work right around that area, the majority of Tidal Wave has remained standing. 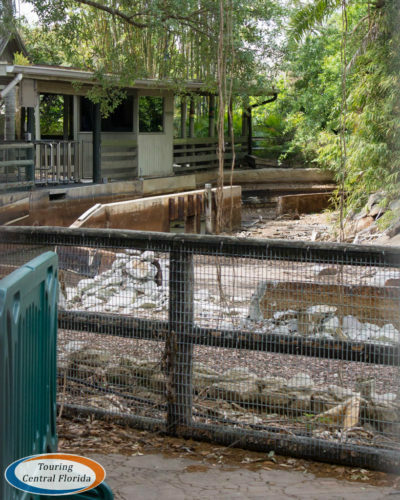 Since Jungala and the tiger habitat are just around the corner, a tiger themed and named attraction on that plot seems plausible. It would be fairly easy to incorporate that section of land into Jungala with a quick change on future park maps, which would require updating with a new attraction anyway. It’s no secret that SEAS continues to struggle financially, along with a decline in attendance overall across the chain. 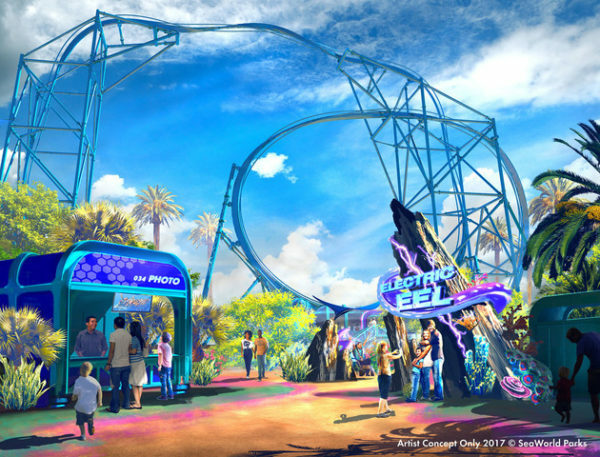 A clone of a roller coaster would have less costs involved in the design stage, and it’s likely some savings would be seen since the company has already purchased two of the same model for their parks. 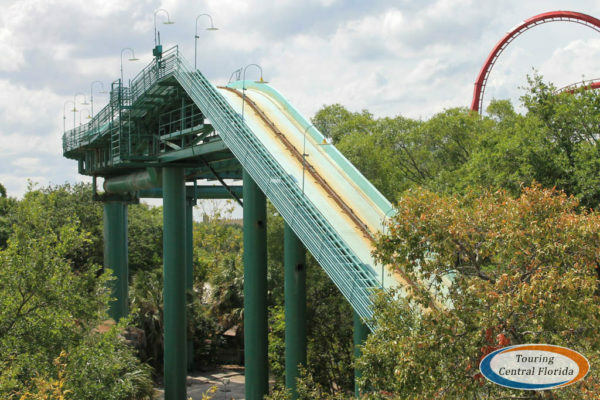 While the coaster won’t be the tallest or fastest at Busch Gardens, and some enthusiasts may pan the addition, it would give the park a much needed new attraction to promote for the 2019 season. At this point, it’s also worth pointing out another standing but not operating attraction at the park – Gwazi. Ever since the announced closing back on February 1, 2015, the rumor that Gwazi might receive the RMC treatment has continued to pop up online. Given one of the names in the recent trademark filing includes “Twisted” and Gwazi had both a Lion and a Tiger side, some fans will take this development as confirmation that the wooden roller coaster will be getting a makeover. At this point, however, it’s incredibly unlikely the company would invest the amount of money required to rehabilitate Gwazi. For the past two years, all reputable sources from within the company have shared that Gwazi will at some point be torn down, and there have been no serious talks about bringing back Gwazi in any form for quite some time. Of course, beyond the trademark filings existing, everything is just rumor and speculation at this point. Assuming Busch Gardens Tampa is getting a new large-scale attraction next year, it’s likely we’ll start seeing permits and site work soon for Project 2019, whatever it may end up being. Join in the discussion online using #BGTProject2019. For the latest on Busch Gardens Tampa and other theme parks, attractions and more across the region, be sure to follow Touring Central Florida on twitter @TourCentralFL & @androckb, and give our facebook page a like. I sure hope something happens. My visits in the last few years haven’t been all that great. So much of the park just has a depressing sort of vibe these days with the closures and SBNO rides. It’s far from the place I remember loving in the late 90s and early 2000s. For such a giant park, there really just isn’t that much to do and it just seems tired. I would love for Gwazi to come back, because I think it deserves one more shot and an RMC would help the park out so much in my opinion. But I would love another ride from mack or B&M because there is tons of coaster types to choose from still and SEAS have a good relation with these companies. I dont mind new manufactures at the park though, and preimer is one of the best in the business. The park does deserve something nice for the 60th anniversary so I’ll take anything at this point. Maybe oneday they’ll but a coaster taller than Sheikra will see. I am happy with this park. My visits have been amazing. 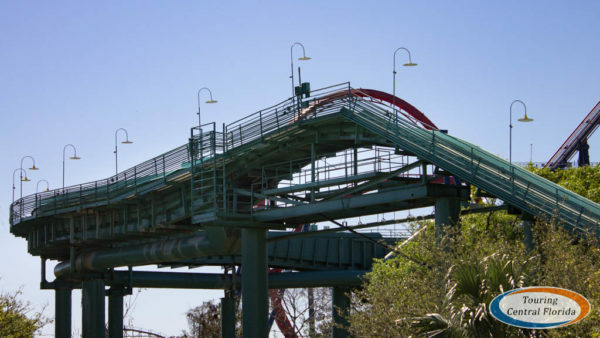 I would still love to to see another ride to make the park even better than it already is. Any chance a Clone of Railblazer or Wonder Woman ride from RMC? Technically anything is possible until it’s confirmed by the park. But I haven’t personally heard anything about either from any of my sources. I’ll take this over nothing, but I’d still rather see an indoor ride or at least something with solid theming. As it is, most of Busch Gardens’ remaining attractions are barely-themed roller coasters, along with a small handful of shows and a smaller handful of other thrill rides. If they ever want to be more than a regional amusement park with animals then they need to get back in the direction they were headed in the 90’s and early 2000’s with simulators, walk-through attractions, 4-D shows, and, well, whatever you’d categorize Rhino Rally as. Right now the only ride with any ‘pizazz’ is Cobra’s Curse. Heck, even a nighttime show would be a big step in the right direction- either build a little lagoon in Gwazi park or have it in Pantopia with projections onto Falcon’s Fury, light effects, and fireworks all around the ring of buildings. Hi, I was last there in the late 80’s and am planning to realize my dream of coming back soon, the first part of July, and take in the Rogers and Hammerstein musical also! My present husband of almost 30 years should love it too! I just remember being fascinated with all the free roaming animals. Might get the city pass. Can understand its changed, but I’m not exactly into all the rides as I used to be, but I’ll try!